Dust can become the worst enemy of a computer system, as it reduces the cooling performance and may cause damage if too much of it settles. 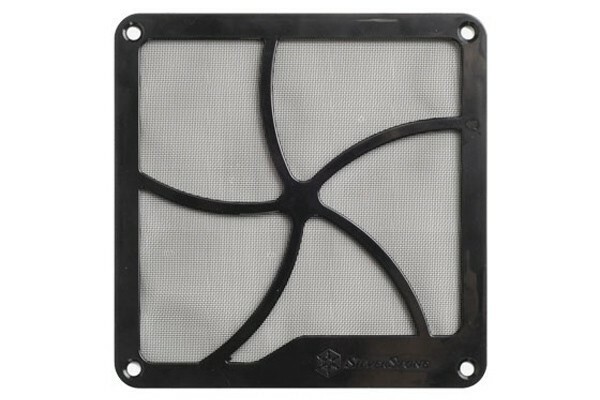 Most fan filters are hard to install, hence SilverStone has developed an easy-to-handle fan filter - The FF141. The FF141 has an integrated magnet in its frame, allowing tool- and hassle-free installation in a metal case. The size of 140mm also makes it compatible with most 120mm fans, allowing application almost in any spot where a filter is needed. The FF141 does not only filter the dust out of the air, it may also dampen the noise from air turbulence. With the FF141 you are making the right choice for protection for your components, better cooling efficiency and a cleaner system! Please note: Please remove the filter before transporting the system to prevent it from falling off and getting lost.